Google announced that moving your website from HTTP to HTTPS would give a small boost to your rankings. It is vital that you understand the difference between HTTP and HTTPS before you decide on your move. HTTP or Hypertext transfer protocol is a system that is used to send and receive information through the internet. Also known as an ‘application layer protocol’, it simply conveys the information to the end user and has no means to ensure the security of the data transferred. Often referred to as being “stateless”, it does not store any information about the previous web session. This can be advantageous in increasing page load speed. HTTP is used to access HTML pages and was used by websites which did not have confidential information like financial details when the security of information was not considered to be a priority. HTTPS or secure hypertext transfer protocol allows authorization which translates to safe and secure transactions. It prevents unauthorized sources from accessing confidential information. Websites with HTTPS are sites that have the SSL (secure socket layer) enabled and have the SL 2048-bit key. This protects the site’s transactions with authentication and encryption. It is important to note that HTTPS is only secure because it uses SSL for data transfer. They are two separate elements and protocols. But they work together to create a secure environment. Google aims to build a safer internet and as a move towards achieving this goal, it wants to ensure that the websites that are being accessed through Google are secure. Google now runs a test to check if websites run on secure and encrypted connection and have factored this into their algorithms for search ranking. From October 2017, any site that collects user information with a <form> in HTML over HTTP will have a warning appear on the URL bar when a user types out the form. From July of this year, Google announced that all HTTP sites will receive a warning, not just the ones collecting information. This “non-secure” warning might ward off users from your website. If your users start leaving your website upon seeing this warning message, it would lead to a drop in engaged visitors and which would ultimately mean a drop in your rankings as well. Increased rankings are the most obvious advantage of switching to HTTPS. Google has confirmed that there is a minimal ranking boost for sites on HTTPS. HTTPS ensures that data that is sent over HTTPS is protected via TLS or transport layer security protocol. Improved Ranking: It might not be a major boost but SEO experts predict that the strength of the HTTPS ranking signal will increase over time. Referral Data: When you look through the Google Analytics data of an HTTP site, the traffic passing through referral sources can appear as “direct” traffic. However, for an HTTPS website, the security of the referring domain is preserved. For a certificate to be issued, you will need to provide your certificate signing request (CSR) on the web server. Choose the server software used to generate the CSR and then the preferred hash algorithm. Lastly, you will select the validity period for the certificate. Canonicalization issues at the domain level: All variants of your website need to be redirected to the right HTTPS page. Improper URL redirects: Every 301 redirects should be pointed to its HTTP equivalent. Un-updated canonicals: The canonical tag informs search engines about the page you want indexed. If your canonical tags point to the HTTP version of your page, it can be confusing for search engines. Failure to update internal links: After your move to HTTPS, you also need to update your links to the HTTPS version. Mixed content issues: This might not lead to a drop in rankings but it still is important. You need to ensure that all your images and scripts are hosted on HTTPS pages or the “non-secure” warning will appear. Updated sitemaps: Create a new sitemap after the move. Disavow file needs to be loaded to https: Create a new property for your Google Search console. The disavow file will also have to have uploaded to the new version of your website. Failure to do this step, you are in fact re-avowing all the links that have disavowed. Check the expiry date of your certificate: If your HTTPS website’s certificate expires, your visitors will get a full-screen warning. Potential decrease in Adsense revenue: There might be a drop in revenue once you move to https. Loss of social shares: There is a chance that you may end up resetting all of your social shares to zero. Google revaluation of website quality: A switch to HTTPS can possibly cause Google to re-evaluate your site in terms of quality. If you engage in black hat SEO tactics, you risk losing your rankings after your move. With Google backing HTTPS, it’s definitely here to stay. 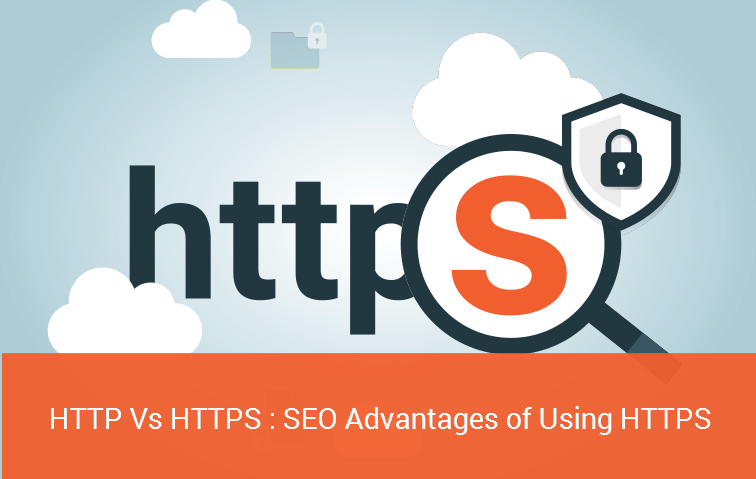 In spite of all the hurdles you might face, it is highly recommended that you switch to https. If you are an e-commerce website, it’s imperative that you move to https. With more than 17 years in the fine-tuning SEO strategies for some of the biggest brands in the Middle East, Global Media Insight has the expertise to help your transition smoothly and effectively to HTTPS by avoiding all the potential pitfalls. Get in touch with us today and protect your digital real estate and the privacy of your users.